Not too surprising considering I hadn’t used the bike in about 2 weeks and left the battery out in the cold. A trip to Halfords to purchase a battery charger was in order. They only had one model that was suitable for motorcycle batteries, the Ring SmartCharge 100 and cost me £57. Back home, I took the battery out and left it charging indoors for several hours. 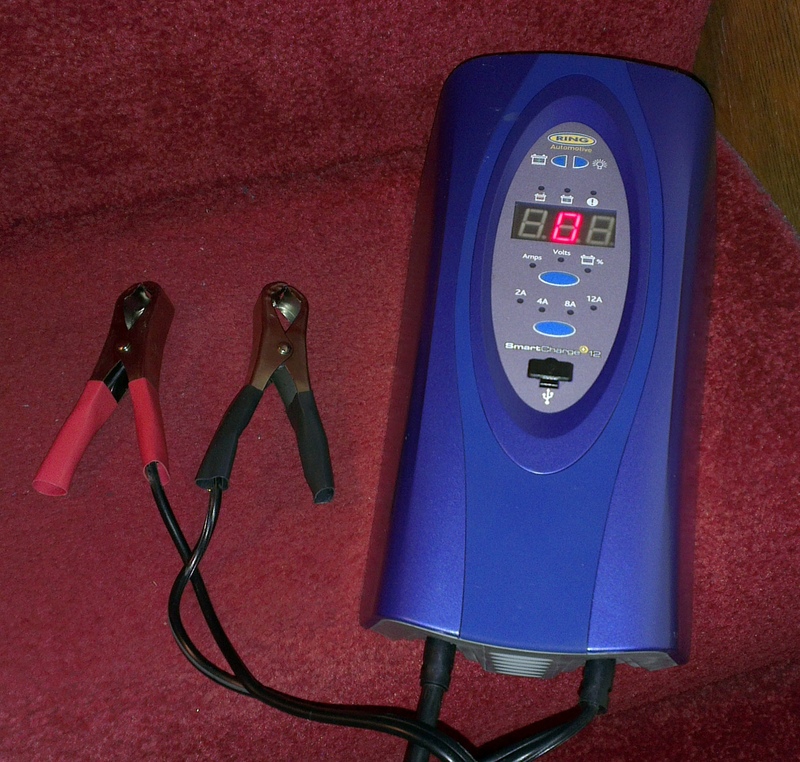 The charger was simple to use, it auto diagnoses the battery and displayed its charge level. Once fully charged, the bike started fine, but now it was too late for our ride out. So, get yourself a decent charger before you actually need one. You’ll be able to source one online much cheaper than the Halfords store. If you do plan on leaving your bike unused for more than a week or two, it’s well worth leaving it on a trickle charge. 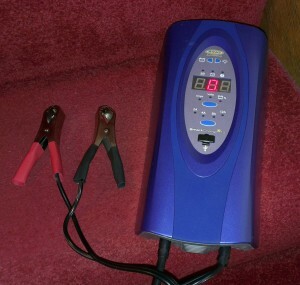 Either bring the battery inside, or setup a lead off the battery which you can plug it in with.